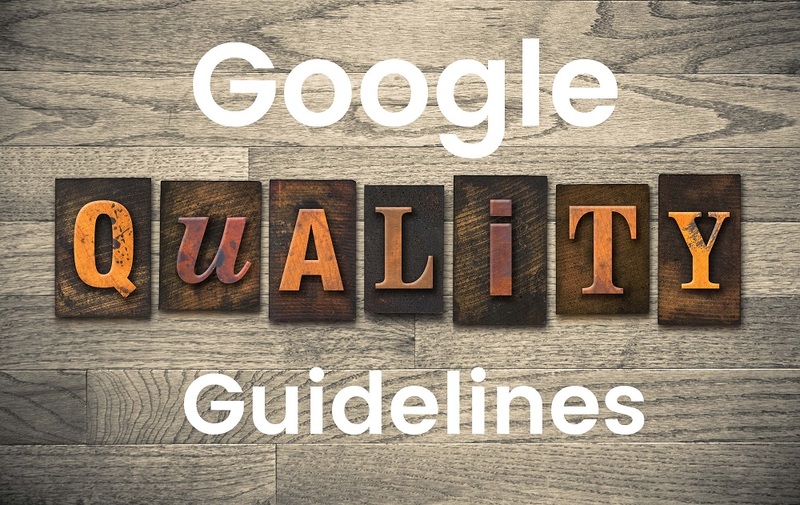 First of all, what is the Google “Search Quality Evaluator Guidelines” and why is it so important to web design, SEO, and marketing in general? One little known fact about Google is that they employ an army of over 10,000 Search Quality Evaluators that manually check the quality of Google’s organic search engine results. These independent contractors are not highly trained engineers – in most cases, they are ordinary people and consumers – just like you and me. In order to train these search quality evaluators, Google provides (and updates) a detailed handbook that explains in simple terms what it’s looking on a website and web page in order to determine the quality of results. In other words, it’s the mission of these evaluators to manually check if their ranking algorithms are delivery the accuracy and quality of results that they are intended to. Your website is your online image. And like it or not, no matter what business you are in, your business is an Internet business. The web is the first place people go to search for products and services, and usually the last place they check before making a purchase decision. 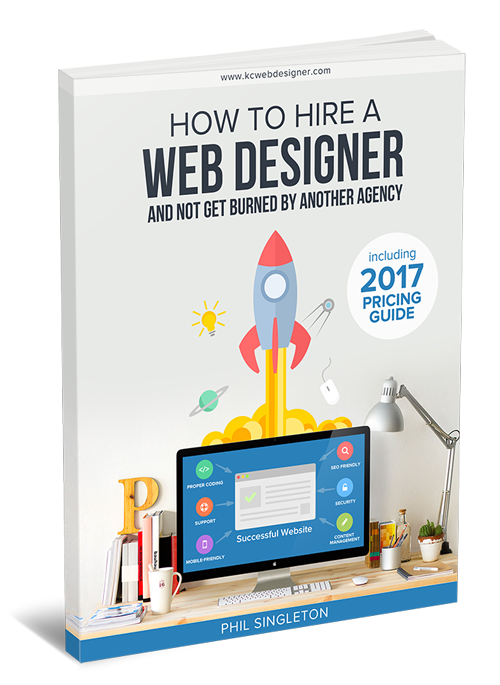 It is tempting to price shop web design services. The Internet is littered with web builder websites from likes of Wix, Weebly, GoDaddy, Squarespace, etc. They look great, and they are cheap – but you get what your pay for, especially when it comes to lead-generation websites. 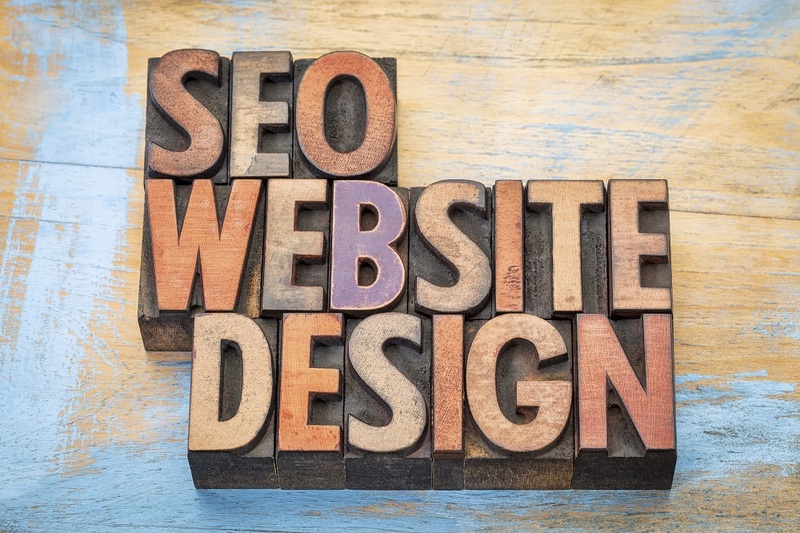 In some cases, a poorly re-designed site can actually cause your rankings to plummet. Does this sound alarmist? We hope so, because the stakes are that high. Even if by some miracle you have a decent looking site created, if it is buried in the depths of the cyber sea, it is a pointless investment. Designer Red Flag – If you have found a web designer that talks nothing about SEO when creating a web design plan, don’t walk away – RUN! Having a great looking website is good; but, even more important is the SEO strategies put in place to ensure organic ranking potential. You are not just creating something that looks nice, your goal should be to create an optimized inbound marketing platform to attract and convert traffic into sales. Yet most executive and business owners buy websites as a shiny product, and don’t think about SEO and online lead generation until these become issues after launch. This is what we call the web design trap. A website’s sole purpose is to attract visitors and convert the visitors into actual, paying customers. 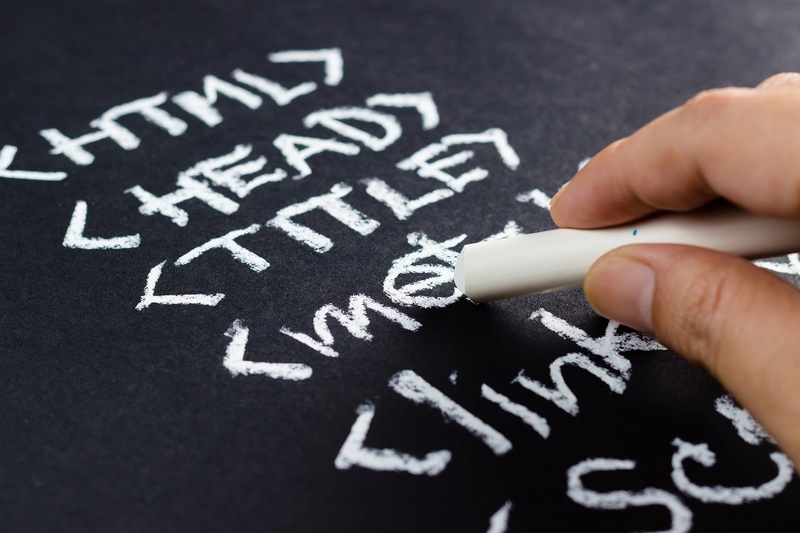 What are the Components of an SEO friendly website? An SEO friendly website is a website that is designed and developed using SEO best-practices design layout and website coding. The highest level of website SEO friendliness is when all of the key ingredients are strategically baked into the website from the ground up. Insider’s Tip: If you want to create a powerful inbound marketing hub, you have to create a website around your ideal clients’ search and content consumption habits. This is the only way you can attract and close new clients through a search engine. With strong SEO keyword research, you can take the guesswork out of web design and actually reverse engineer your website around the search behavior of your ideal customer, rather than relying on your best guess or the best guess of your web design service provider. Fast and cheap. Those are the factors some people look for when creating a website. These website builders are absolute nightmares when it comes to gaining SEO traction and the adage “you get what you pay for” definitely applies here. Ultimately, you have final say over the website created. However, if you want success in the search engines and if you want to be found by potential customers, then you have to have a web design that gets results. This means SEO is top-of-mind during the entire process. This is the only way to achieve on-going SEO success. Creating strategies and plans for marketing today is more challenging than ever before. In the past, simply launching your website on the World Wide Web was enough to ensure you earned first-page real estate. While things have evolved, the fundamentals of marketing planning remain unchanged. Regardless of the channels available, you still need to know your customer, develop a superior brand proposition, and communicate this effectively. It’s up to the search engines if you are found. Then, your content determines if a customer is going to do business with you. Not only are you being judged by the search engine used, but also the Internet as a whole. If you don’t have a superior marketing strategy in place, you can’t succeed in the modern search engine economy. 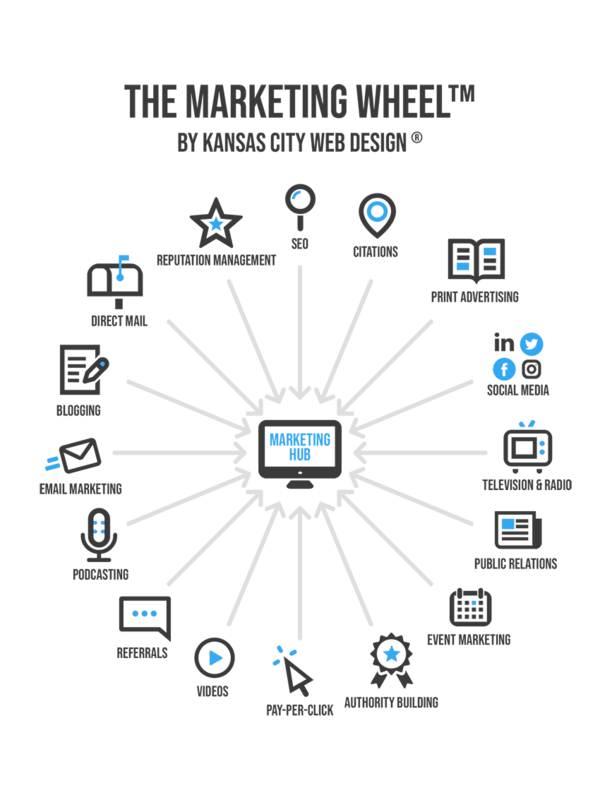 A website alone is not a marketing strategy. It is part of an overall marketing plan and serves as your virtual world, business headquarters – but it is not everything. Just because you makeover your website, it doesn’t mean you have “revamped” your presence and the opportunity you have to be found. 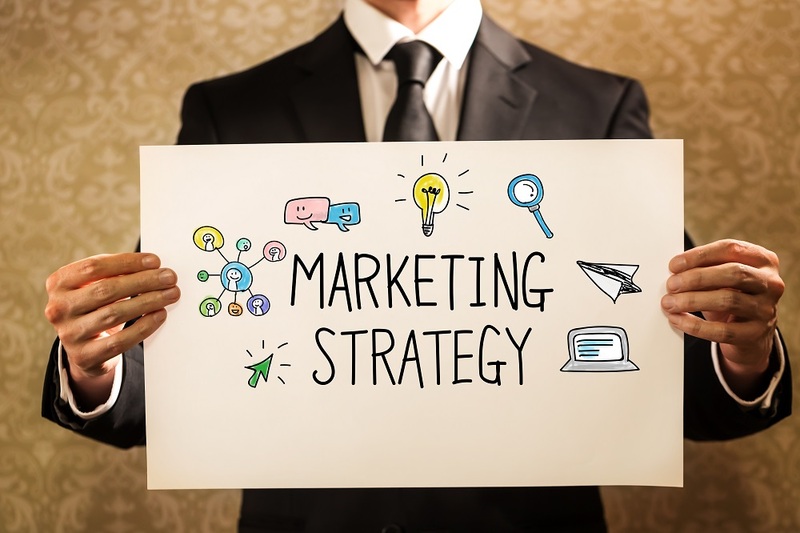 Marketing is the management process responsible for identifying, anticipating, and satisfying customer requirements profitably. Who is your exact target audience? What type of content does your audience like to consume? What goals do you want to accomplish with your marketing and website? What search terms does your target audience use when searching for your service or product? Keep in mind, you may have a few niche specific questions to answer, as well. The more you know now, the better equipped you will be to create an effective marketing strategy. Once you answer these questions, you can develop a buyer persona. These are invaluable when it comes to figuring out how to reach your target audience on a personal, emotional level. Buyer personas allow you to get to know your target audience in a unique, personal way. What they look like, how they behave, what they are worried about, their preferences, etc. When you have buyer persona’s they can be used to hone your content into exactly what your customers need and want, leading to more profits. In fact, it may be a combination of two or all of these. Regardless of your goal, you need to ensure it is clearly defined. At this point, you have something to work toward. No goal is achievable if you don’t have an indication you have reached it. What makes your brand, your company, and what you have to offer different? A huge part of your entire marketing strategy is to create a brand value proposition and make it clear across your website. When consumers come to your site, they want to know why you are the company to do business with. If you don’t have this defined, your customers won’t see value, either. Creating a marketing strategy takes time, and requires you to answer difficult questions. In the end, however, you are better equipped to serve and meet the needs of your customers. Every online purchase begins with a few words typed into a search box. Keyword research is one of the most valuable, important, and high return activities in the search marketing industry. Being able to rank for the proper keywords can make or break your entire website. Knowing what keywords to target starts with keyword research. Keyword research isn’t just about getting people to your site, but also making sure you get the right type of visitors. There are secret weapons in SEO. One of the most valuable is Google AdWords Keyword Planner. AdWords is the advertising system used by Google. The Keyword Planner is free for anyone to use. (There is now some limit to the keyword tool’s ability if you don’t have an active AdWords account, so keep this in mind). Prior to using this tool, you need to create a general list of 5 to 10 keywords and phrases related to the website. For example, for a personal injury attorney you could use: personal injury, personal injury law, personal injury lawyer, etc. At this point, you have a list generated. In the report generated you receive a listing of words Google deems related to your root list. The report provides a bar graph of the search volumes, which spans over the previous 12 months. Ad Groups – provides insights on keyword association and helps you figure out keyword relevance. Monthly Searches – How many times an exact keyword has been searched. Competition – Is it a competitive keyword? Suggested Bid – Typically only needed if you are planning on running an AdWords campaign. As you scroll through the list, take note of the averages. 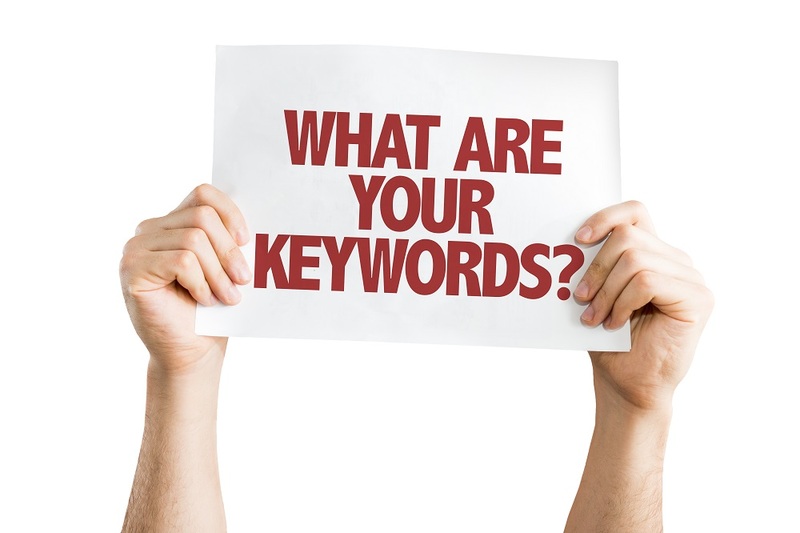 It is a good idea to target keywords that receive a large number of searches monthly. You can add keyword groups to your own spreadsheet by clicking the “Add to Plan” and create your keyword list. Once finished, you can download the entire sheet. Don’t just try to target the keywords with the highest search numbers. You need to find keywords that have a combination of high volume, a higher suggested starting bid, and a higher competition value. These are referred to as “money words” and convert into better sales than other terms. Here, you can learn more about on-page SEO, which is 50% of an effective strategy. This refers to optimizing the structure of your page in a way that makes it easier for web crawlers to find the keywords you have targeted. When discussing on-page SEO, there are some factors that are more important than others. Insider’s Tip: There are certain on-page SEO techniques that can set your page apart from the competition. When you use these successfully, you will find your page ranks higher. If search engines are unable to find your site, you can optimize all day long but you will never appear. If you use a content management system like WordPress, you can easily check to see if your website is crawlable by just logging into the portal and choosing “Privacy” under the “Settings” tab. Make sure the “Allow search engines to index this site” option is selected beneath the “Site Visibility” heading. 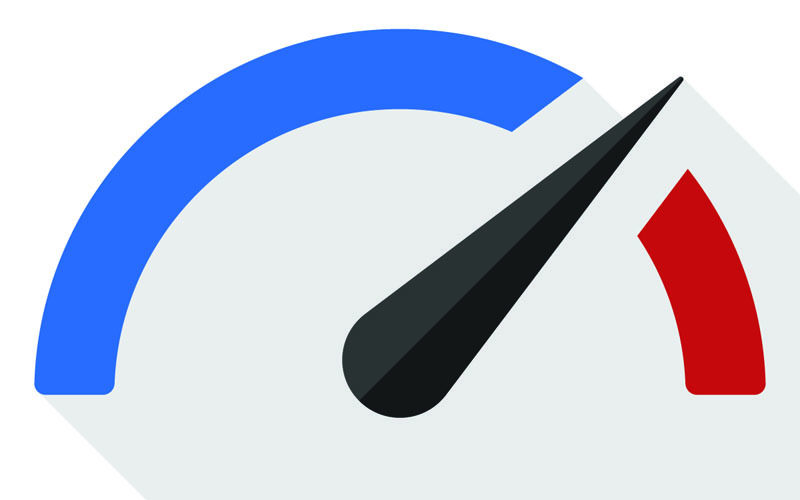 If you don’t use WordPress, you can use Google Webmaster tools to see if the site is being crawled. To find this information simply click “Health” and then choose “Crawl Stats” to determine if the site is being actively crawled and how often the crawling is taking place. There are several parts of your web page that have to be optimized for success. Here, you can learn about each one. You need to include the selected keyword(s) in the body of your content at a minimum four times. If necessary, rearrange the keywords so they fit naturally in the text. Awkward wording can demote your site on Google. Make sure to write content that is at least 50 words; however, the longer the content the better (as long as it is valuable and not gibberish). If you put too many instances of the keyword in the document, this not only hurts readability but also your rankings. Try to keep all your content written for your readers but “tweaked” for the search engines. If you use images, make sure that the keywords are added to the alt tag. Also, make sure you name the image so that it matches your keywords. Make sure whatever you create is enticing. After all, what’s the point of a top spot in the search engines if no one is clicking on it? This is what you see under your page’s title in the search results. Meta descriptions should be 156 characters and include your targeted keyword. The h1 tag is different from title tags. It is important to include the keywords in this and putting them as close to the front as possible. Try to use the keyword only once in the h1 tag. If you use WordPress, the h1 tag is the default page title. You don’t have to do anything special here. On-page SEO techniques are crucial to overall search engine success. Keep this in mind when creating your web pages. Off-page SEO refers to everything you can do OFF your website to increase your ranking. This includes blog marketing, forum marketing, article submission, link building, etc. Off-page SEO is a crucial part of any well-developed SEO plan. If you want an effective off-page SEO strategy, you need to ensure it includes all of the following elements. Also, there are niche specific social sites to use, as well. These are a great source to find new customers and connect with others who may benefit from your services. When you write a blog on your website, you give people a reason to keep coming back. It also ensures search engine spiders are crawling your site frequently. This helps you achieve a higher rank in the SERPs. The question many people have is, “what do I post?” There are countless ways to reach customers, but the key is to provide them with the information they want and need. While blogging is actually an on-page SEO tactic, the off-page element comes in here. You need to submit your blog to niche blog directories, as well as blog search engines. Make sure you are posting comments on other blogs in your same business niche. This often gives you the opportunity to add your own link in the comments section. The links are then crawled by the search engines, which points them back to your site. These blogs are referred to as “Do-Follow” Blogs. An important note with link building is that there are both good – and bad links. 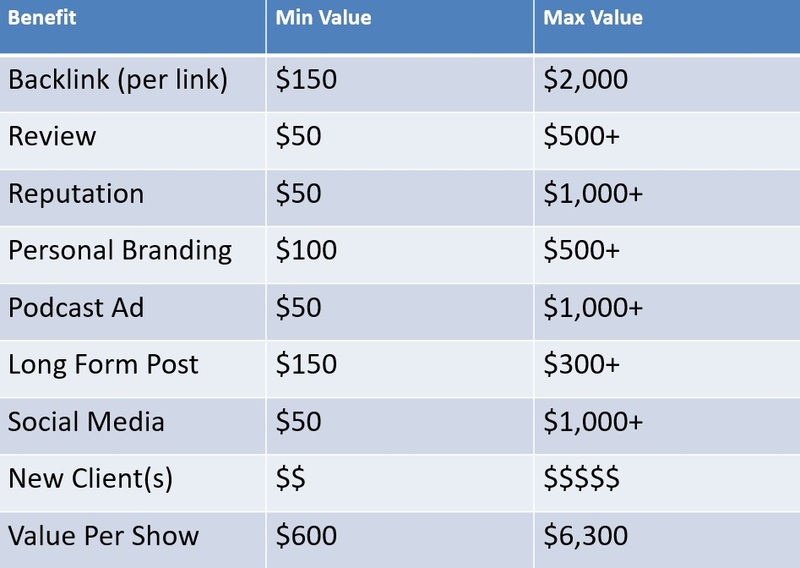 Insider’s Tip: When it comes to link building, quality is much more important than quantity. Having one link to a high authority domain is worth more than 10 links to a low-authority domain. Domain authority is determined by a websites “trust” factor. The more Google trusts it, the higher DA it will have. The goal is to try and have all your links attached to sites that have a high DA. Have you ever heard of a citation? Citations are any time your business name, address, or other identifying factor are mentioned on another website. Citations count in regard to SEO even if there is no link present. Believe it or not, even just your business phone number is considered a viable citation. The structured citation: This is what you find on business listing web pages – Yelp, Angie’s List, etc. The unstructured citations: This type of citation is typically found on government websites, event listing sites, job websites, blogs, news websites, etc. Having citations helps you prove that your business is really what you say it is, is located where you claim, etc. Google and Bing (as well as most of the other search engines) consider citations an essential part of their ranking algorithms. When all other factors are equal, a business that has a higher number of citations is going to rank higher than those businesses with fewer citations. When you can achieve citations on well-established and well-indexed portals, it can increase the certainty that a search engine crawler has regarding the information about your business and how it needs to be categorized. Citations are an essential part of your Local SEO efforts. Each citation you receive for your business helps to validate that it is part of a local community. After all, it is pretty hard to “fake” being a member of your area’s chamber of commerce or a city index of businesses. Also, receiving citations on the newspaper website or on another local business website shows that you are present – making your site appear more trustworthy and increasing your rank in the search engines. There are several ways you can begin collecting citations for your business now. Complete profiles for any business listing site with business name, address, phone number, etc. Request that other businesses add a citation to your page and do the same for them. 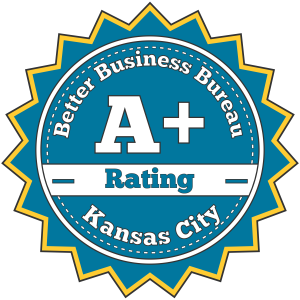 Find if there are any city or county business listings available. When you acquire local citations, you can increase your rank and ensure your website is viewed as trustworthy. What is more important than your online reputation? With more ways than ever before for customers to offer feedback on the services and products you offer, you can’t afford to ignore this factor. The fact is, just a few thoughtless reviews can wreck your entire business. This is why it is so important for you to create and use a reputation management strategy. 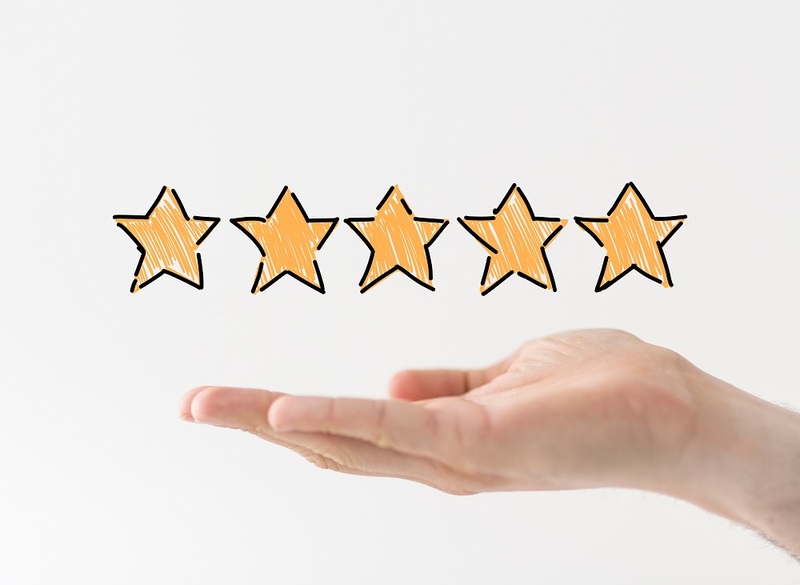 With 88 percent of consumers trusting online reviews as much as they trust personal recommendations, it is essential to have great online reviews. There is no question that “social proof” is a hot commodity. Even if a person gets a recommendation from a friend, they are still going to go online to see what others say prior to making a final decision. Positive reviews give you the best chance of a conversion. If you don’t have an online review strategy, you can encourage positive reviews or even counter negative ones. A quality online review strategy is an essential part of your brand management plan. You have to listen to what is said about you online and respond accordingly. Resolving a negative comment is much less potent than one that is never answered. You have to be present and handle reviews. Creating an online reputation management plan is not as difficult as you may think. Using the tips here can help you get started. Don’t write, buy, or encourage someone to leave a fake review. Don’t ask everyone for feedback at the same time. Be smart and ask a few customers at a time. Develop a routine and simple instructions to give to customers. When requesting feedback make sure your clients mention the service or product they use. Details with keywords is best. Gather reviews on your own website first. 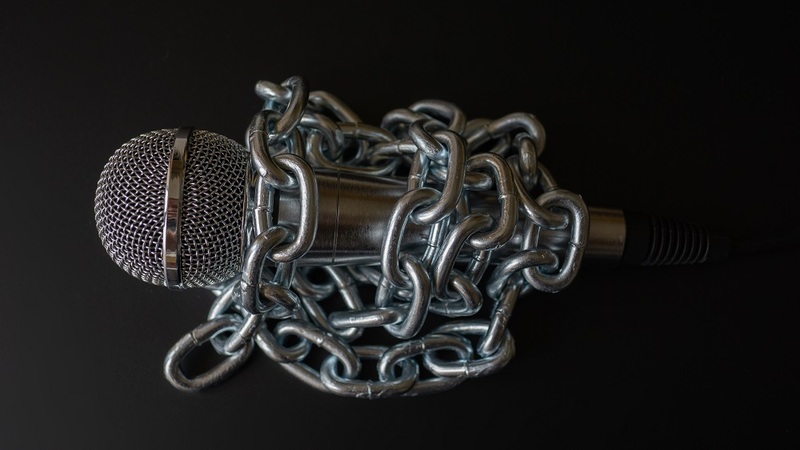 You have control over what is published and can handle negative comments before it is blasted to the world. Always engage with your reviewers. Don’t panic about any negative reviews. Always take the high road and respond in a professional way. Keeping your reputation in check will help ensure when people find you, they are going to want to shop with you. You have to have a reputation management process in place to ensure that people are able to find great things about you when they search for the service or product you offer online. For many years, social media was not taken seriously. It was thought of as a “passing fad.” However, there is no question the exact opposite is true today. 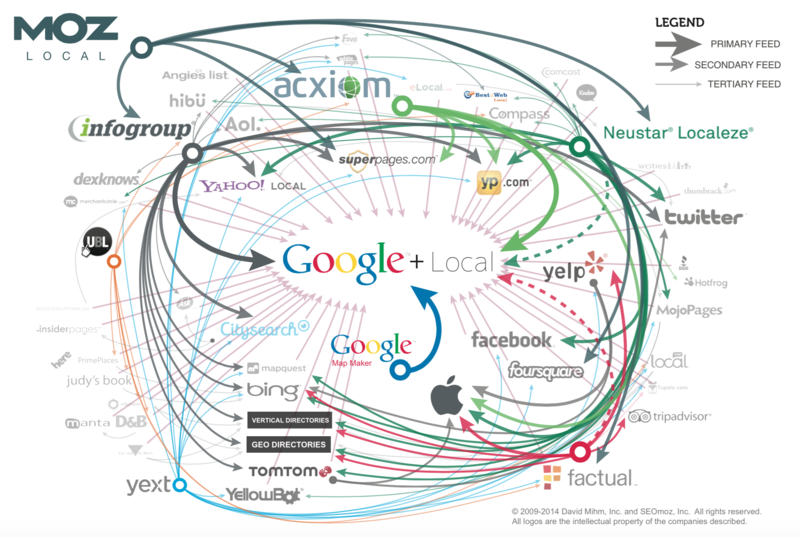 The relationship between social media and SEO is somewhat complex. Also, Google is not exactly clear on if social media is a ranking factor – which makes it even more challenging. However, regardless of your thoughts on the matter, you can’t deny that social signals are important. Even if they don’t directly impact your SEO, they have a huge impact on how visible your website is. There are also a number of indirect benefits offered when you build social media for SEO. Social media serves as a constant source of community traffic for many businesses, making it a priceless asset. Social posts that contain the right keywords receive more visibility within the actual social network. However, since these are “no follow” links, there are many who believe this has no direct effect on Google rank. Keep in mind, even more views on social media platforms is good enough to increase traffic and conversions, which is why it is something you should not ignore. Social SEO is used for the same reason that traditional website SEO is- to help people search for and find your content. Keywords and hashtags can help people find your content. This has a huge, indirect effect on SEO. As a result, it is something you need to do on a regular basis. Your keywords are your navigational tools on social media. They need to be used to ensure that visitors looking for you and what you have to offer can find you. Once you have a following, and they are sharing what you say, you need to encourage these actions to continue by constantly sharing valuable information over these platforms. Publish optimized content on your social media pages in a strategic way. Consider SEO rules when you are creating your social content. If the main goal is to help people find your business, you need to create messages that help you stand out from the crowd. Make sure your content on all social platforms is easy to enjoy, brief and smart. Most importantly – make it irresistible. 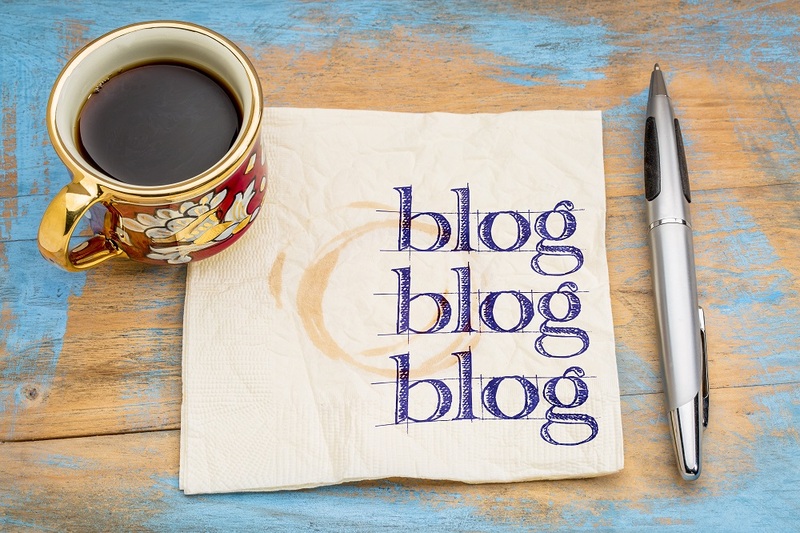 Do you want a successful blog? If so, excellent SEO is a must. When SEO is done right, you can create blog posts that people love to read and that Google ranks well. The step by step process here can help propel you into blogging success. Don’t think about SEO after you have created your post. You have to have SEO at the top-of-mind when creating a blog post. Each piece of content you publish needs a well-defined goal. The goal of the blog defines what the post is about. Here are some examples. When you set a goal you have something to work toward with your blog post. Otherwise, you may find you are rambling on and on. Prior to moving on to the next step, you need to know how you are going to evaluate how successful your blog post is at meeting your established goal. Some tools that can help with this include smerush or Google Analytics, to name a few. Thanks to our previous lesson, you already know how to research for the right keywords. Make sure you target the right words in each blog post you create. You have to now begin to think about your actual content – this is what you are going to write down. To do this effectively, you need to understand “user intent,” while determining what type of content Google wants. In the past, SEO was all about filling up pages with various keywords and synonyms and link building – this is no longer an effective strategy. If you want your post to appear on the first pages of Google, you have to determine “user intent.” This means you need a post that is interesting, useful, and something people want to read. For example, if someone were searching for an SEO guide, what would they look for? A DIY approach to SEO? A post that teaches SEO? A thorough guide on how to do SEO? In this case, the answer would be all of the above. The most effective way to deterring the type of content that satisfies user intent and blog post length is to search for your selected keywords in Google. Is it images, slideshows, video, or text? How long are the text posts? How are the posts structured? You will likely find a few similarities such as mostly text content with some videos and images, long posts, easy navigation, etc. Taking the time to see what others are doing and what is ranking well, can help you develop your own successful SEO blogs. You can acquire backlinks from high authority sites. People begin to view you as an expert in your field. Highly targeted referral traffic comes rushing into your site. The question is – how can you get even better results from your guest posting efforts? 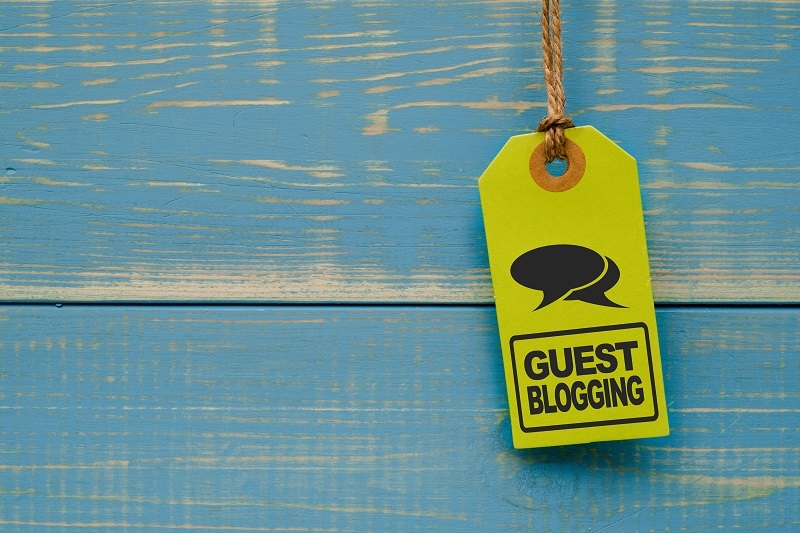 Use other people’s guest posting success stories. People love to brag, take advantage of the places they have had success. Reverse image search in Google: Does a competitor have many high-quality blogs in your niche? Grab the URL of the headshot and do a reverse image search. You can get a list of all the places they have guest posted. Twitter and Google+: Use your keyword search strings here. com: Your go-to source of the best blogs online today. These tips can help you secure a guest post on the targeted site. Insider’s Tip: You need to choose a topic that is relevant, that hasn’t been done before, and something that will get their readers excited. If you try to do the same old tired posts, it is going to show and you may lose your opportunity to guest post with them again. Once you have found a great option, you have to send the pitch. Make it professional, but conversational. Make sure you mention what you love about your site and why you have selected that site for a guest post. Let them know what you do and then pitch your idea. Make the ideas clear and concise. Now that you know how to blogger outreach, you should also selectively invite or allow 3rd party experts submit content for posting on your site. This will allow you to organically grow your website with contributions from niche and subject matter experts – thus make your site more SEO friendly. 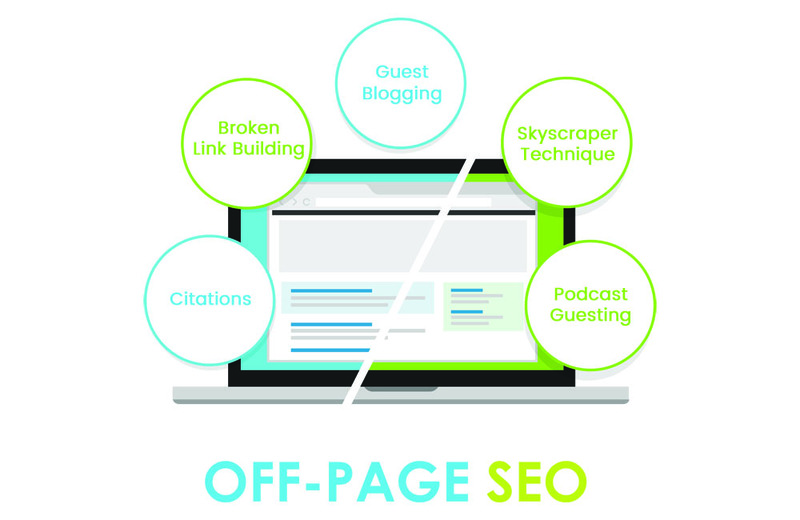 Guest posting offers numerous SEO benefits. It helps you acquire backlinks, it lets your site be associated with high authority sites, and you can build your reputation as a trustworthy authority in the niche. With close to 60% of Google searchers using mobile devices, mobile-friendliness and website speed have become critical SEO ranking factors. Your website not only has to look good on mobile and have good design, it should load fast for all users – especially mobile users. With a good WordPress website host and some adjustments to your website code, you can vastly improve your website’s speed which will in turn help to make it more mobile friendly. Now that we’ve given you a peek behind the curtains, it’s time to take action. It’s never too late to take corrective action on your website, or start the website re-design project that your company needs to grow. Your website may have 10x the ranking potential already, and you may only need to apply some of the above recommendations and adjustments to “uncork” your website’s ranking potential. Contact us today, we can help. eReleases Reviews – Press Release Distribution: Exceptional. Creative. Inspiring. Searching for reviews about eRelease? Relationship building is key to a successful business, but it can be challenging in the digital age. Instead of greeting customers who come into your business in person, asking them how you can help, and walking them through browsing or a sale, you have to make those connections over an internet connection. A one-size-fits-all online ad strategy lacks the engagement and personalization of “real-life,” one-on-one connections. And it may not be as effective in encouraging loyalty and sales. 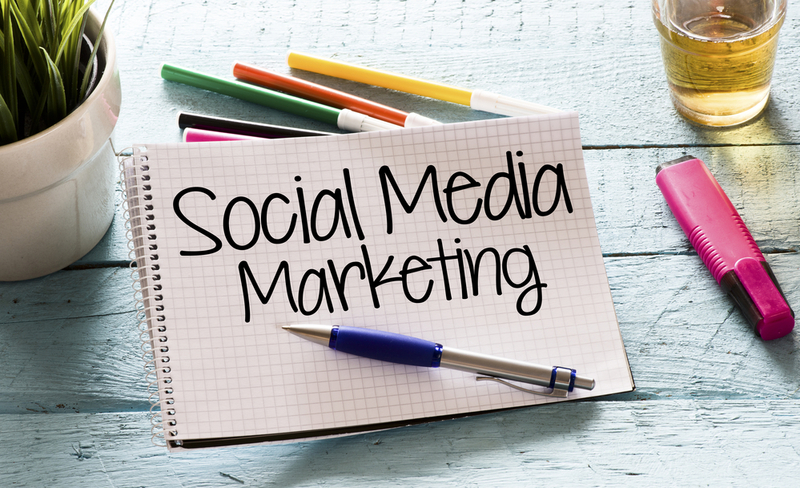 Meeting and interacting with your customers on social media, however, can be done effectively. Using Facebook Messenger for advertising, companies like yours can reach out to a huge audience. According to Facebook, two billion messages are sent between people and businesses every month, and more than half of Facebook users are more likely to shop with a business with whom they can message. Facebook users want to be aligned with companies who will respond to them, and respond quickly. One of the key reasons businesses should be using messenger ads is that it shows your customers and potential future customers, that you are available via messaging. One study shows that 73 percent of customers prefer live messaging/chat to email. Being available on this medium is vital to connecting with your user base. Why Facebook Messenger? According to a study carried out by GlobalWebIndex in 2015, Facebook Messenger was the most used messaging app with 37 percent of users surveyed preferring it to others. (Messenger was followed by WhatsApp, Skype, Line, and Google Hangouts). Clearly, Facebook Messenger is a likely place to find your customers and potential future customers. Why not take advantage of this user base? Facebook Messenger’s popularity is projected to keep growing, too. A Statista chart shows that the number of American mobile phone users accessing messenger is projected to grow to 139.2 million users in 2020! Getting your messenger ad strategy together now will serve to help your company keep up, and keep growing in the future. Facebook Messenger ads have three goals from which you can choose: gaining traffic, creating conversions, and encouraging installations of your app. Here is how your company can reach out to clients and potential customers via messenger ads. The first is destination ads, where the ad opens inside Facebook Messenger after being clicked in a newsfeed. These ads can reach anyone, based on your own targeting choices. Opening in Messenger, it helps people to contact you, ask questions, reach out, and learn about your offerings. Ideally, they will become loyal customers after the interaction. The important part of this type of ad is an effective call to action. Instead of specifically trying to sell something, consider this a conversation. You are simply trying to engage an individual in a dialogue that should lead to a stronger connection. Ask this individual, for example, about something that you can help with, without explicitly asking for business. With a bit of interest and engagement, you will be setting the stage to send a business-related message in the future. If you’ve engaged with the potential customer in an authentic way, you can expect that the message will be well received. These ads appear inside your audience’s messenger inbox. The audience comprises people who you’ve interacted with on messenger in the past. You can use this type of ad, as well as destination ads, to retarget customers who have stepped away from the sales sequence for whatever reason. If someone checks out a lead or starts going through an opt-in process but backs out before connecting with you, you can use a Messenger ad to directly contact them and discuss things further to see how you can get through to them personally. Another Statista chart shows that more than half of survey respondents — Gen Z, Millennials, Gen X, and Boomers alike — are willing to receive Messenger coupons upon entering certain stores. Similar numbers are willing to receive messenger notifications synced with email, such as notifications about when a package is shipped, and notifications of sales upon entering stores. Facebook Messenger ads work well to generate local awareness so you can engage with your nearby regional population, an important demographic for many companies. This is a far more effective use of advertising dollars than sending out a general ad without local targeting, if you’re trying to drum up business in your area. This type of ad campaign even enables you to set up specific deals or offers for local clients, which is the finishing touch in bringing actual customers in. Many companies are using chatbots in conjunction with Facebook Messenger ads so that frequently asked questions, payments, customer support, product searches, content, coupons, demos, and other personalized yet automated responses are possible. Remember how people want to work with businesses that are quick to respond to their needs? Chatbots, combined with Messenger ad functionality, make sure that every request is answered quickly. Perhaps one of the most important things to remember about Facebook Messenger ads is that they offer a high degree of personalization. No matter which ad type you pick, and no matter what call to action or ad copy you choose, your goal should be to begin and continue fostering an individual, responsive relationship with every lead and customer. LinkedIn offers excellent prospecting and lead generation opportunities if you know how to position your company and how to use tools such as LinkedIn Sales Navigator. LinkedIn lead generation helps your company stay at the forefront of people’s minds, building up a strong following of prospective clients and partners. It helps you to demonstrate leadership in your industry. You can strengthen your network and build your sales if you do this well. Using your network to get sales referrals. LinkedIn’s Sales Navigator is a premium tool with a lot of potential. To make it work for you, search for leads using criteria like a specific search vertical, geographical area and job titles of interest. Highlight specific companies you want to target, and import existing contacts. And enter any relevant information about the leads you’d like to find, from industry to job roles. From here, you can search for job titles or overarching companies. Save prospective leads with the click of a button, or save the entire search. You can also filter your searches by various factors, including company size, years of experience, or region. A TeamLink feature lets you know if there is an existing mutual connection between you and a potential lead, opening the doors to a personalized introduction. Email alerts will inform you of any new potential leads that match your criteria. This means that the Sales Navigator will continue searching on your behalf, freeing you up to focus your efforts elsewhere. You can also track any new information about your saved leads, allowing you to tailor any marketing or outreach plans accordingly. With all of this information, it is simple and straightforward to generate a regularly updated list of leads, and gather all of the insights needed to ensure that you are connecting with these people and companies in the most effective way. Your company should define its niche, its goals, and its target audience. Whether you do this on your own or get help from a marketing agency, the result should be the same: a strong concept of who you are, what you want to do, and who you want to reach. When you can narrow this information down, it is far easier to generate the right leads for your company. It is better to be focused than to cast a net that is too wide. Knowing your niche and your target audience, you can lay the groundwork for lead generation; that is, making your profile perfect before you jump into the spotlight. Optimize your profile based on your identified niche, goals, and target audience, which inform your corporate identity. Ensure that your profile is as complete as possible, paying special attention to your tagline. Your tagline is your first introduction to clients and potential partners, so make sure that it fits in well with your niche and your aim for lead generation. This phrase needs to be engaging. It should speak directly to your ideal demographic, explain what you do, and how it will help them. All of your profile content should build on this, adding further detail about how your services or products fit into people’s lives, in a helpful way. When you message people to connect, remember that they see your name and photo, your tagline, and your message. These should be your priority. Your photo needs to be professional. Do not leave this field blank! A well-crafted profile, along with high-quality content and inbound marketing planning, will bring people to you. To generate leads, you will need to do some work. With a great profile in place, the next step is to reach out. The LinkedIn Sales Navigator helps you search out potential leads, targeting them with all of the information you input. You can, and should, continue the dialogue with potential leads over time. You can thank them for their connection with you, share any relevant information or curated content that applies to their needs, and, eventually, move toward asking for a real-life connection like a phone call or meeting. The key here is to be personable and real in every interaction. If you seem too commercial, it reads as artificial, and these carefully curated leads will simply ignore or delete your message, viewing it as an unwanted, spammy intrusion. Find something that personalizes your services or products for your lead, and use that as common ground without overselling yourself or your company. You can also use these tactics with your existing network. If you have not leveraged all of your connections, consider opening, or reopening the lines of communication using a similar approach. This can also help with generating referrals. There are over 400 million users on LinkedIn, so you have a lot of potential leads to explore. It may seem like an overwhelming task, but when you break it down into individual components it should be manageable, and successful! Start with a great profile, based on a well-defined and realistic niche, goals, and audience. Use the tools available to you to create a list of criteria for your leads, and a list of people and companies who match that criteria. Reach out to those people and companies, using personable, human language. Move beyond a simple connection request to sharing legitimately ueful content, leading to a deepened business relationship. Make sure that your profile and content works to help others find you. At the same time, nurture your connections to increase your business-to-business referrals. 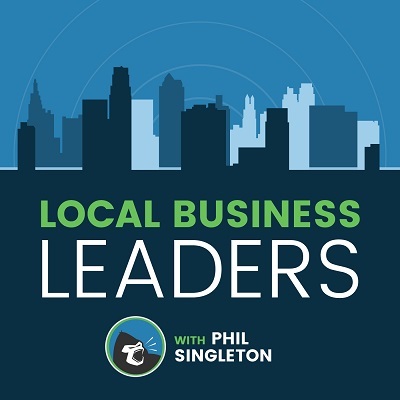 Earlier this year, Phil Singleton was recently interviewed by Kim Doyal, The WordPress Chick. The WordPress Chick Podcast is listed at as a top WordPress podcast by just about every “best of” list you will find – and rightly so! 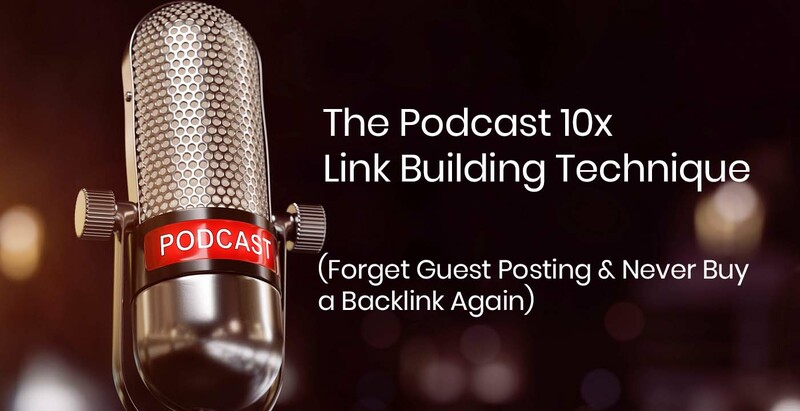 This podcast interview below covers starts off with some background info, but most of the discussion revolves around the SEO benefits of podcasting for both the podcast guest and the podcast host. This episode was inspirational and was part of the motivation to create a podcast booking service called Podcast Bookers.